Since 1977, 36,000 African Jews have been sent from Ethiopia to Israel. But since their evacuation, many have felt like second-class citizens. The younger generation protests against discrimination. In several, sometimes secret evacuations which began in 1977, over 36,000 African Jews were taken from Ethiopia to the Promised Land. They were supposed to „arrive home“ at last. 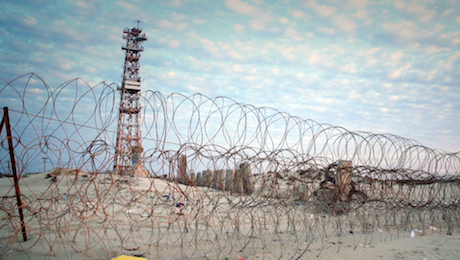 But in Israel, many have always felt like second-class citizens. The first generation of immigrants had to survive on low-paid jobs; the younger generation today wonders why they were brought into the country at all. They have fewer job opportunities and are frequently victims of arbitrary police violence and racism. Four young Ethiopian Israelis talk to us about the Israeli-Ethiopian community and its identity crisis. Teacher Benny and fashion designer Lemlem emigrated to Israel with their parents. Activist Inbar and stand-up comedian Shlomo were born in Israel. Although they speak fluent Hebrew and, like all Israelis, completed compulsory military service, their dream of belonging has never come true. They are still waiting to be recognised by society. Now, following widespread demonstrations against police brutality, they hope for a new life without discrimination. 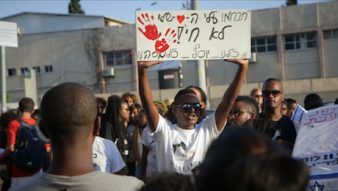 The young Israelis, each in their own way but all with unwavering determination, take to the streets to protest against racism and discrimination.